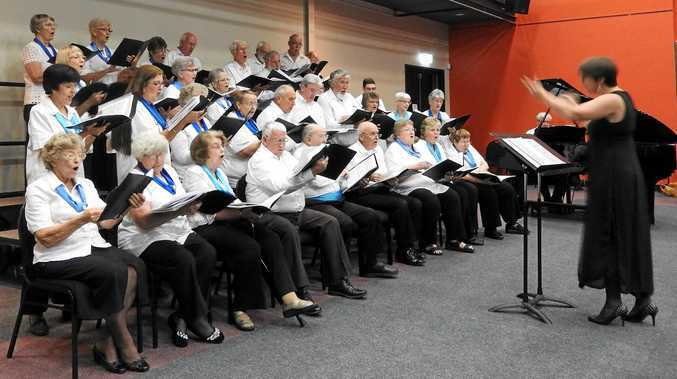 MARYBOROUGH Choral Society and Fraser Coast Chorus will showcase some musical numbers which will be learnt and performed over the Big Sing weekend. The launch of Big Sing 2018 at Gatakers Art Space will be held on Tuesday, September 4 at 4pm and will conclude with refreshments. Big Sing 2018 is being held under the auspices of the Australian National Choral Association. More than 100 singers from Caboolture to Blackbutt to Sunshine Coast and Hervey Bay will gather at the Brolga Theatre on the weekend of September 28 for singing workshops and fellowship. Contemporary singer Emma Dean will conduct the workshops. Emma recently sang at the opening ceremony of the Commonwealth Games at the Gold Coast. Accompanist will be Tony Dean. The weekend will end with a concert on Sunday afternoon, September 30. Individual choirs will perform a range of items followed by the massed choir performing the music learnt over the weekend. Fraser Coast residents were urged to support the event and fill the Brolga theatre on September 30 at 2pm.